Heather Afriyie is a vibrant and outgoing young woman, who has a strong desire to improve the healthcare infrastructure in Ghana to help enrich the lives of every Ghanaian citizen. Holding a Masters Degree in Healthcare Administration from the University of Illinois- Chicago, Miss. Afriyie possess the tools needed to improve quality of care, patient safety, and lead necessary process improvement initiatives in Ghana. On June 30th, 2018, Heather Afriyie was crowned Miss Ghana USA 2018. 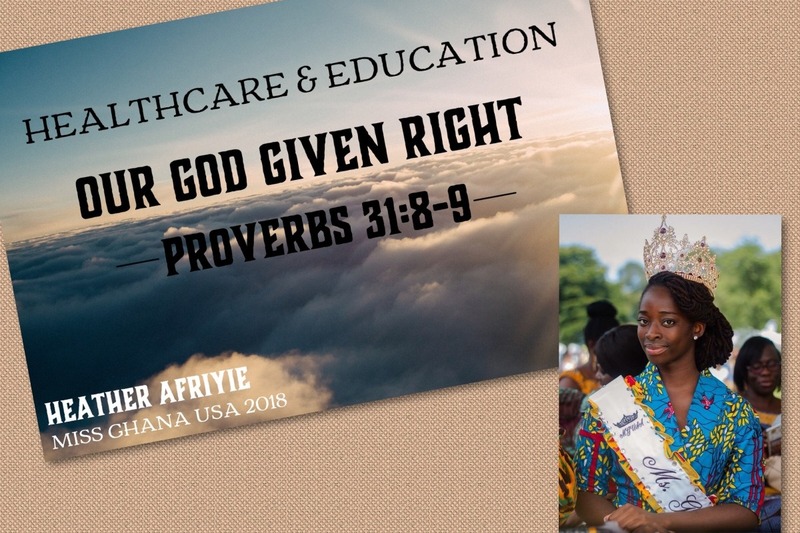 Her platform, entitled Healthcare and Education: Our God Given Right, focuses on the lack of access to healthcare facilities and educational resources for women and children living in rural communities of Ghana. As part of her platform, Miss. Afriyie is working to support the expansion and improvement of the Neonatal Intensive Care Unit (NICU) at the Effia-Nkwanta Regional Hospital in Takoradi, Ghana- Western Region. With a 40 bed capacity and being the primary referral center for the Western Region, the NICU receives referrals from over 300 facilities. The NICU sees about 100 neonates per month, with an average length of stay of 5 days. The department has 12 staff who work up to 24 hours a day. Lack of sufficient medical equipment and overcrowding are two of the main issues within the department. Currently, mothers have to sleep on the floor in front of the NICU and 2 or more neonates share an incubator. These are major issues that must be resolved. 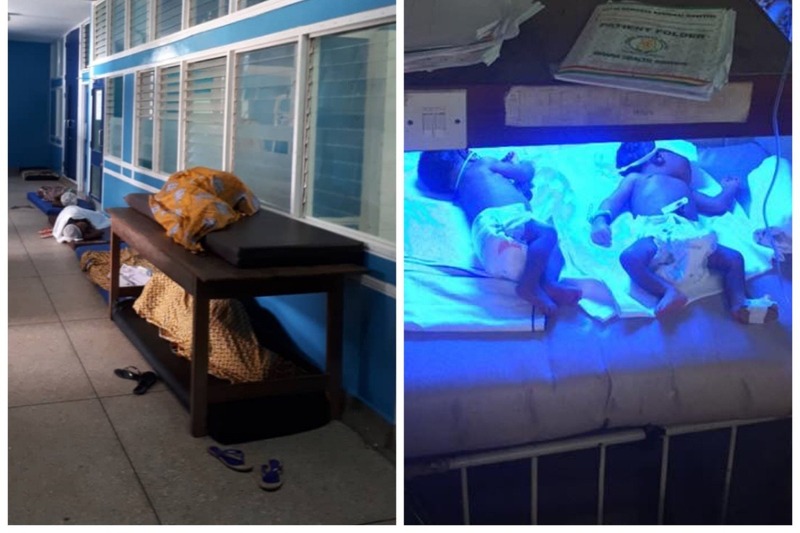 The expansion project, which includes building a mothers dormitory, a family area for counseling, and a kitchen; as well as expansion of the NICU ward to accommodate the necessity of new medical equipment, is approximated at GHc240,000 (Ghana Cedis) which equates to $50,000 US Dollars. Having the faith that small drops can make a mighty ocean, I desire to raise $3000 (approximately GHc 14,500) to help support the expansion and improvement of this unit. Your support will give mothers and infants the opportunity to access high quality healthcare facilities, fully equipped to meet both their needs. This is indeed a God Given Right, because everyone, no matter their socioeconomic status, educational background, race, gender, etc., deserves to live a healthy and prosperous life. Investing in the health and well being of those who are underserved is truly a blessing. Your sacrifice will never go unnoticed and you will reap what you sow in abundance. It takes one person to impact many people and many people to impact a nation. Be that person today.